tomato puree (water, tomato paste), diced tomatoes, tomato juice, sugar, contains 2% or less of: olive oil, salt, basil, dehydrated onion, spices, dehydrated garlic, citric acid, calcium chloride. A smooth & rich taste that the whole family will love. 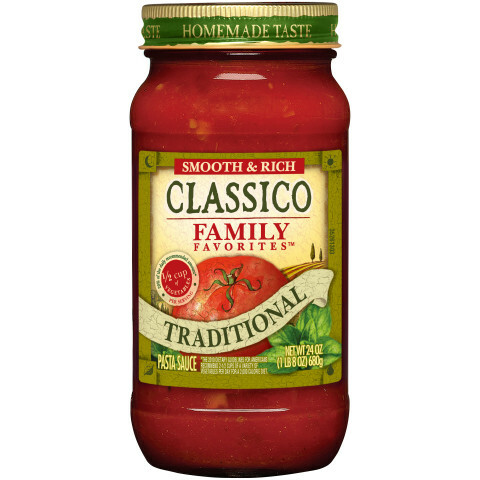 With ½ cup of vegetables per serving, Family Favorites Traditional Sauce is full of wholesome flavor. 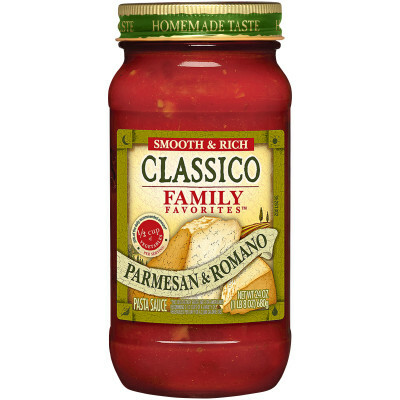 This sauce is hands down the best store bought pasta sauce I have ever bought. I exclusively buy only this sauce and will be absolutely crushed if it ever becomes unavailable! 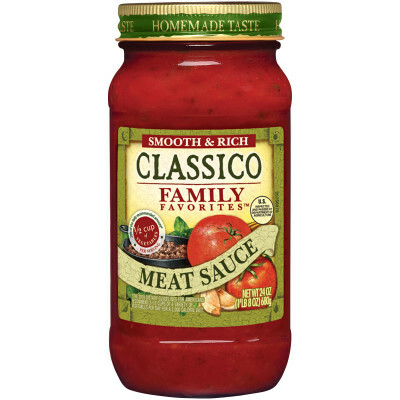 I have gone years doctoring blander, less choice pasta sauces for years and have finally found my preferred sauce. I can just heat this sauce and stick it on whatever I want or I can jazz it up with some of my own additions.